Offering up deeply melodic yet satisfyingly scuzzy guitar-pop, Glasgow duo Honeyblood are responsible for one of our favourite debuts of 2014 so far. Ahead of their UK tour, frontwoman Stina Tweeddale took time out to discuss the band’s roots with us, and to clear up the story behind drummer Shona McVicar’s recent departure. Let’s start at the beginning. What was the first record you remember hearing? My dad’s a musician, so probably his music. The Beatles, or maybe Kate Bush or David Bowie? What was the first record you ever bought yourself? Oh, it was probably something really 90s, like a Smash Hits compilation. I do remember walking into a record store, intent on buying In Utero by Nirvana and The Head On The Door by The Cure, when I was about 14. How did you get into playing music yourself? Which artists or albums inspired you to pursue music professionally? Most definitely PJ Harvey, The Breeders and The Smiths. They’re probably the most important, but there are so many others too! 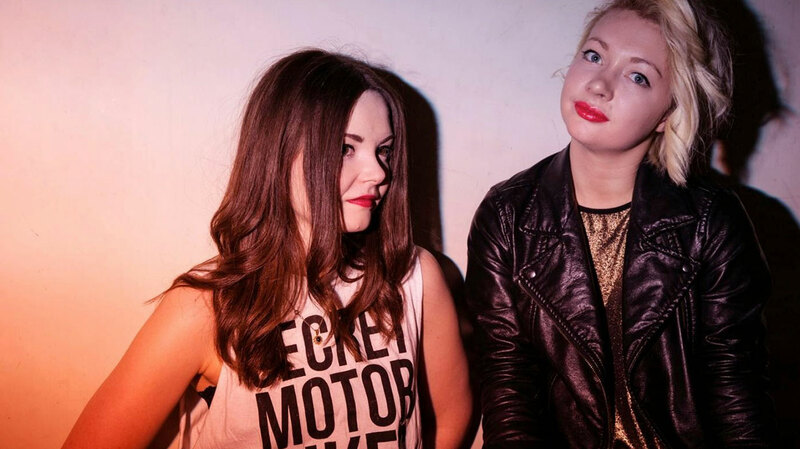 What were your ambitions for Honeyblood when you first formed the band? I just wanted to be able to play the songs to people! Really, there were no ambitions at the beginning. You never know what is going to happen in the future. As things progressed, recording an album became the main focus for me. Now, I just want to record something new! For the benefit of anyone who’s not heard your debut yet, what can they expect? Some honest pop songs with a bit of raw edge, most of which are to be taken with a pinch of salt. It was written from the birth of Honeyblood, up until the day we recorded it, and recorded with Peter Katis at Tarquin Studios in Connecticut nearing a year ago. What was the goal, artistically? We wanted to keep the live essence very strong in the album, but to give the songs the ability to sound as good as they could. And, for me, it had to be self-titled as these are the songs they we had been playing for the two years before actually recording them. 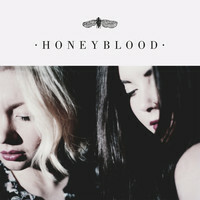 They are the building blocks of what Honeyblood is. We learned how to be a band through playing those songs. Is there anything you learned about yourself during the creative process? You will never be happy and something that was your least favourite flaw may actually turn into what you like the most. Lyrically, it feels a very raw, honest record. Is that fair? You reference Angela Carter’s ‘Bloody Chamber’ in ‘Choker’. What was it about her writing that captured your imagination? I really love Angela Carter and have done for years. Her imagery is so vivd and I thought I’d have a go at linking some of my words and music to her ideas. ‘Choker’ is a bit of an oddball on the album, as it is the only one not specific to myself or my friends. Were there any other literary reference points for the record? ‘Super Rat’ is named after a quote in ‘Breakfast At Tiffany’s’ and takes a bit of influence from Lewis Carroll’s poem ‘How Doth The Little Crocodile’. ‘Braid Burn Valley’. It’s about a place near where I grew up in Edinburgh. It’s such a personal song to me as it’s about my home. We’d never played it live before recording it and I had loads of ideas for it, including adding loads of harmonies. In the end I thought there was something a bit lonely about just having one vocal and the guitar at the beginning. Last month it was announced that Shona McVicar has left the band. Did her departure come as a surprise? There was no surprise in Shona leaving; she has decided to pursue another career and she had been deliberating for quite some time. I guess it’s a shock because there were only two of us in the band, but Honeyblood is now three years old and Shona had left previously for a year. Being in a band is tough: you’re away from your home, friends and family. There is so little stability. I’m quite a shy person and actually find it difficult to talk to anyone about my business, so it has been difficult. But I see it as part of my job. How did you know her replacement, Cat Myers? Cat lives in Edinburgh, where I grew up and I have known her since living there. She plays drums for a living, and is really excited to be playing with Honeyblood and, of course, her drum parts and her style will be influential on any new material. I plan to be writing ASAP! So, next up is the NME New Breed Tour. Are there any dates you’re particularly looking forward to? We had to cancel a few shows recently in Newcastle and Sheffield, so I’m excited to get back there. On the last tour I was very lucky to enjoy singing with our audiences. Nothing gives me more joy than people coming to the shows and enjoying the songs. Beyond that, what’s the plan for the next few months? We will be touring the UK again with Catfish and The Bottlemen, and then hopefully we’ll be going back to the US next year. I’d love to record and release something next year too.